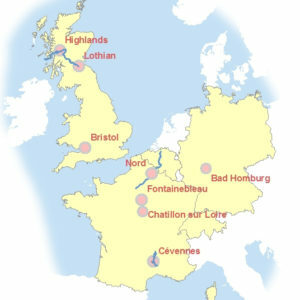 The European network In the Footsteps of Robert Louis Stevenson is rich in variety. Geographically it consists of a set of routes and sites. Each member of the network offers a wide variety of activities to support European heritage, for example: hiking, either alone or in groups, with a donkey, canoe or bicycle trips, youth activities, historical exhibitions contemporary art, lectures, readings, films, etc. The strength of the network lies in the projects of the members which aim to connect the arts and cultural fields to the social and economic, in a process of respect for the territories, peoples and their environment through a common theme: the life and works of Robert Louis Stevenson . If you would like to join the network follow the link to the membership page.